The Foreign and Commonwealth Office provide invaluable information for those travelling abroad and we would encourage everyone to read their country and travel advice. For travel abroad you will need a valid passport and possibly a visa for your chosen destination too. Please ask us for advice if you are uncertain about what may be required. Visit the government website at www.gov.uk/browse/abroad/passports for further details on entry requirements, embassies and more. Please note: Passport and visa requirements may change and you must check the up to date position in good time before departure. You should always seek medical advice before you go, if you have any doubt about your fitness to travel. Details of any compulsory health requirements applicable to British citizens for your holiday will be advised to you at the time of booking. It is your responsibility to ensure you are aware of all recommended vaccinations and health precautions in good time before departure. Details are available from your GP surgery and from the National Travel Health Network and Centre. Visit www.nathnac.org for details. Information on health abroad is also available at www.nhs.uk/livewell/travelhealth so you should read this as soon as possible for advice. Travellers from the UK to Europe should travel with an EHIC (European Health Insurance Card). Eligible travellers from the UK are entitled to receive free or reduced-cost medical care in many European countries on production of a valid EHIC card. 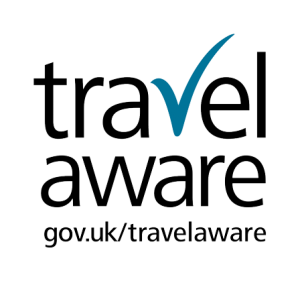 Further details on travelling abroad can be obtained by visiting www.gov.uk/foreign-travel-advice which provides important information including health and safety issues. Please note: Passport and visa requirements may change and you must check the up to date position in good time before departure. See also Travel Insurance in the Travel Extras section of the website as it is vital that everyone in your party travels with adequate cover.